Hi YABC!! I'm Sarah Ahiers, and I'm so excited to be able to share with you the cover for my book THIEF'S CUNNING! TC is a sequel companion to my debut ASSASSIN'S HEART. I love the cover for AH so I was both prepared for an awesome cover for THIEF'S CUNNING but also pretty skeptical that the cover would be better than the ASSASSIN'S HEART cover. But when I saw it for the first time, I gasped! And then I kind of waved my hands in excitement. Like jazz hands, but not done well. Excitement hands? Hmm. Doesn't quite roll off the tongue. Anyway! 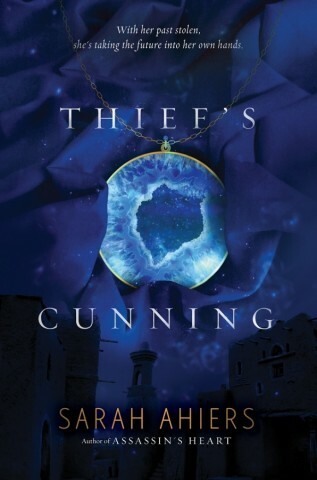 I really hope you'll love the cover for THIEF'S CUNNING as much as I do! At least that’s what Lea has told Allegra her whole life, but lately Allegra’s been feeling like things are being kept from her—including her parents’ identity. So when Allegra finally learns the truth—I’m a Da Via—her world crumbles. Feeling betrayed by the people she trusted the most, Allegra turns to Nev, a Traveler boy whose presence makes her feel alive in ways she’s only dreamed of. 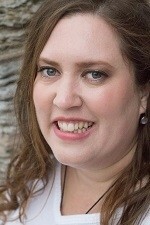 But getting caught up in Nev’s world has consequences Allegra never saw coming. In this dark and enthralling fantasy that fans of Sarah Maas and Leigh Bardugo will devour, one girl must decide whether she’s destined to pay for the wrongs of her family’s past…or if the future is hers for the taking. One winner will receive a hardcover of ASSASSIN'S HEART. If the winner is in North America, it will be a signed copy. Sounds interesting! Cover is good! 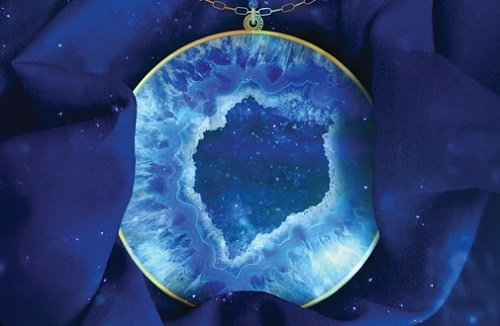 Love the geode on the cover! I love the way light seems to glow from the cover. I haven't read anything by this author. Woah, I didn't know that there would be a sequel! I liked Assassin's Heart but definitely wanted to see a sequel following. I'm glad we are getting one! What a great cover, too. I love it. Woah, I didn't know that there would be a sequel! I liked Assassin's Heart but definitely wanted to see a sequel following. I'm glad we are getting one! What a great cover, too. I love it. :D Thank you for the chance! The cover is wonderful. Love the blue color and the pendant. The synopsis is very interesting. I am looking forward to this series.